Georgia Aquarium is the largest aquarium in the Western Hemisphere with 10 million gallons of fresh and marine water, and tens of thousands of animals. 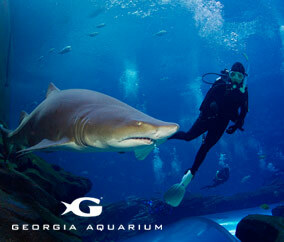 Go behind the seas with majestic whale sharks, playful sea lions, and teams of colorful fish. Order your tickets now and save!